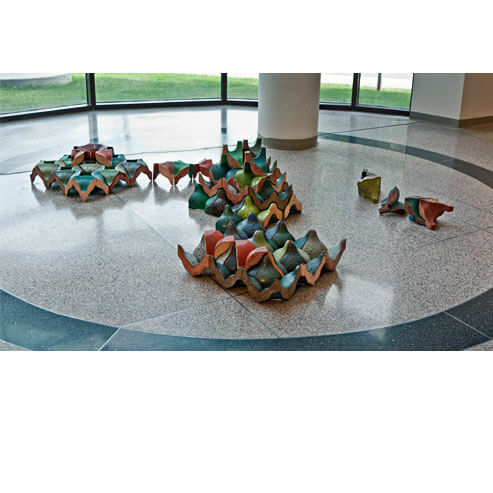 Kimberly Greene lives in Kenosha, Wisconsin and is an Assistant Professor of Art and Art Department Chair at Carthage College. Previously she taught at Michigan State University, Southeastern Louisiana University, and Baton Rouge Community College. Kimberly Greene received her M. F. A. in Ceramics from Louisiana State University in Baton Rouge in 2005 and her B. F. A. from the New York State College of Ceramics at Alfred University. In addition, she received a B.S. from Northwestern University in Electrical Engineering. Kimberly Greene recently received the Osborne and Scekic Foundation Fellowship and a Faculty Research and Development Grant. Kimberlyâ€™s upcoming exhibitions include Sculpture Vision, an outdoor ceramics invitational, Location, and NCECA Concurrent Group Exhibition and Racine Art Museum Artist Fellowship Solo Exhibition.